I read crime, suspense and thrillers! I just couldn’t put my hand up because I was in Perth. Maybe next year! Do you know of any forthcoming Aussie titles in the genre? I know Jaye Ford has one out later, Already Dead (which, surprisingly, RHA didn’t mention). Me, too. Not so much Secret Seven, but Famous Five, Five Founder-Outers, Trixie Belden, Alfred Hitchcock Investigates series, Nancy Drew, before I graduated to Agatha Christie and Simenon in my early teens. One factor that may have led to the fewness of men at the forum was that it was scheduled on a week day. That would have made participation by quite a few women difficult also. I love reading P M Newton, but have been deterred generally from reading crime fiction by reading too many Agatha Christie when I was a young teenager (too superficial) and the salacious nature of some crime fiction (and the covers). I don’t want crime used for entertainment. Crime fiction has a valuable role in exploring the complexity of this social issue, the harm done by crime and looking deeper into humanity itself. When is crime a crime? Bruce McCabe’s comments on the use and consequences of technology were interesting and prompted me to persist with his book. These issues really deserve their own posts! You could be right about men/workday, but some women took time off work because they considered it a priority. That may also reflect women’s greater tendency to do unpaid/volunteer work, I don’t know. The point that really interests me, though, is about “using” crime fiction for entertainment. PM Newton and Angela Savage, as you know, have both touched on this because of the way women are treated. I unashamedly love to be entertained by crime/suspense/thriller fiction, but my delight in it also troubles me in some ways (as does my response to romance fiction). I guess I’d go right back to Philip Sidney’s Defence of Poesy on this one, that the aim is both “to teach and delight”. Moralising or philosophising without the page-turning thrill of the narrative makes it all to hard for me. You are right. The value of fiction is that it entices people to read it. There is no point writing an earnest treatise on some ethical point if it is too stodgy for people to read. There needs to be a balance. I feel that the balance is missing in some crime fiction. PM Newton nails it for me. I’m sure there are other crime fiction writers who also do a good job of this. No, just read it. I had no idea that some women liked that kind of thing. I don’t. 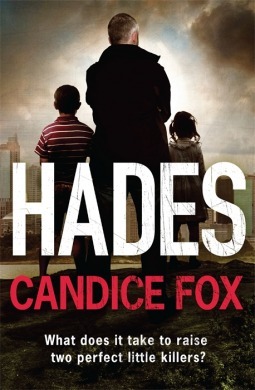 I’m a big YA fantasy reader, but I am thoroughly looking forward to reading Hades and Eden. I’m trying to break out of my reading rut. As much as I love my favourite genre, I really need to break out and try reading something different. 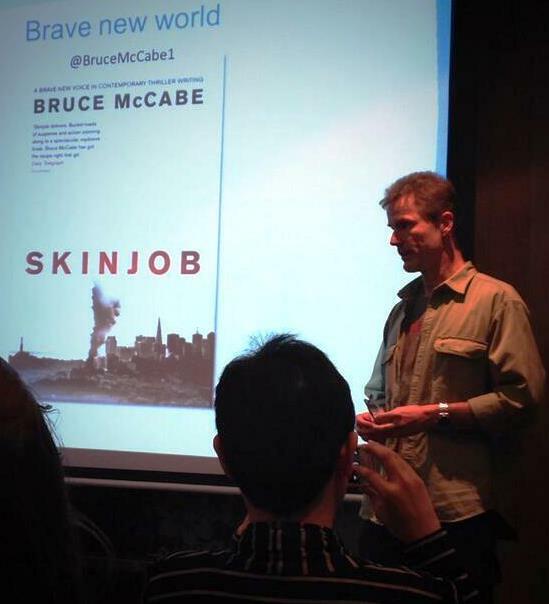 That being said, Skinjob is at the very top of my TBR pile! Thanks for dropping by, Bec. I’ll look forward to your reviews. If you do review Fox’s books, it would be great to add them to the AWW challenge. And I’d be interested to hear if you know any YA Aussie suspense authors. Have you read Rebecca James’ Beautiful Malice? She’s one Aussie suspense writer who writes crossover YA/Adult. I will definitely get to Fox eventually, but I have no idea when. So many books! I almost never read crime, mostly because I am a bit of a sissy and hate to read about murders, especially if they include sexual violence against women, which they often seem to. Like Yvonne, I find the idea of crime as entertainment disturbing. I occasionally read a suspense/thriller if I’m looking for a super page-turner and/or I’ve heard heaps about it. I recently read max Barry’s Lexicon which won the Aurealis (Australian Sci-fi) award. It was a ripping suspense novel, very intelligent – I would highly recommend it. I also recently read Patrick Somerville’s This Bright River which was as twisty and exciting as Gone Girl but much smarter and more plausible. He’s a US writer though and it sounds like you’re looking for recommendations closer to home. I tussle with the idea of crime and violence as escape too, like Annabel. I can handle realistic grimness and misery but not escapist … There’s a fine line here I know but in my head I know what I mean! Peter Temple’s a The broken shore is an example of the former. It dealt with real issues in rural Australia, particularly to do with indigenous – nonindigenous relationships but reading crime as a genre over and over doesn’t do it for me. I’m inconsistent though as I do watch crime TV. Oh, and how I would have loved to have been there. Any SEO tricks? I read all about it but some things I just don’t get and some recommendations seem contradictory. A post on that would be great. Thanks for commenting WG. It’s tricky, isn’t it? I watch crime TV, too, and the odd movie: recently I’ve been absorbed by The Bridge on SBS. There always seems to be some added element, some point of social interest, in good quality crime fiction/drama. I agree about Peter Temple’s The Broken Shore – and I’d add P M Newton’s books in that category, too. They are far more than “mere” entertainment, but they are also entertaining. As for SEO tips, I’m discussing/experimenting with that on my Lizzy Chandler blog, with another post due up today. So far, it has been more miss than hit. What are you experimenting with? It probably takes time to build up? Yes, we are watching The bridge too. I watch crime more for the relationships and the issues than the crime itself. I often can’t tell you what exactly is going on, though I usually get the gist! The tech gurus at Random House gave us several tips and I’m experimenting with implementing them and discussing my trial and error process along the way. (We have a renewed Aussie Book Blogger group on Facebook, so for now it’s a conversation we’re having.) Here’s last week’s link where I mention several of the blogging tips. I have another post going up this morning on the question, “Do images drive traffic to your blog?” And yes, I’m sure it’ll take time – and some thought.